Not really a graphic novel as such, this is more like a picture book with captions. It is Matthew Johnstone’s visual account of what it is like to live with depression. It has been promoted for se by health professionals, depression sufferers and relatives. 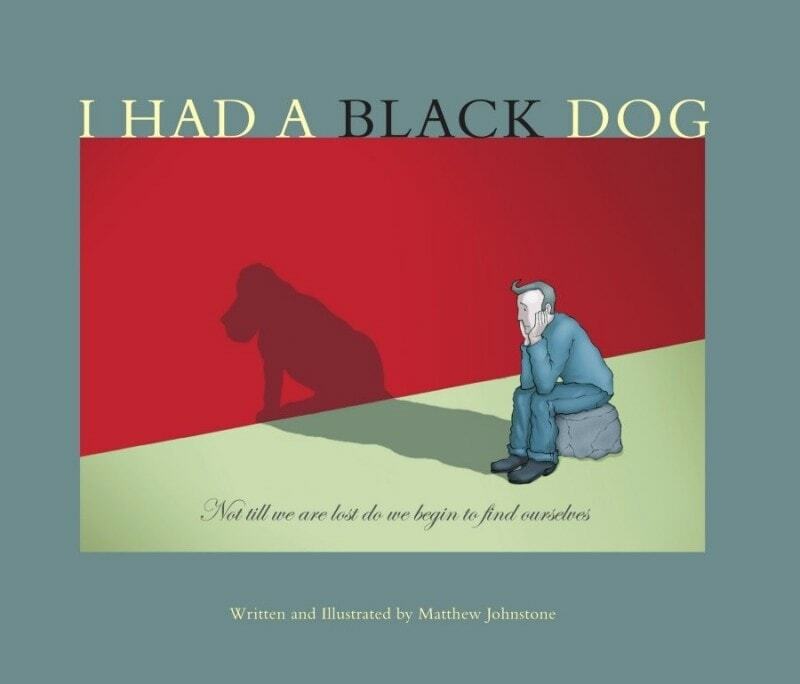 Taking inspiration from Winston Churchill’s term for his depression, Johnstone illustrates the ways that the black dog has affected him since his early twenties. Symptoms of depression such as anhedonia, loss of appetite, poor concentration and fatigue are represented visually, with the eponymous dog doing something in each picture to cause them. The pictures also show the effects that depression had on his life until he recognised it and soght help. Finally, johnstone covers the ways in which depression sufferers can help themselves, with his character taking revenge on the black dog, who is seen panting exhausted behind him as he goes for a run, or chasing after a stick that has been thrown over a cliff. He finally accepts the black dog as part of himself and learns to live with it, but to remain in charge. The book provides an excellent visual analogue, that sufferes of depression will instantly relate to. I think it would be a useful aid in explaining the features of depression to other interested parties and as a self help book to sufferers. It takes 10 minutes to read. It is slim and relatively inexpensive and could be lent out to clients and patients.